Okay, gente! Today is the big day. SpanglishBaby is giving away one HP Pavilion dv6 laptop. Chécalo! So chévere! I already told you about many of its features, including: The 2nd generation Intel Core i3 Processor in the first post and, HP SimplePass, HP CoolSense, as well as Chat in HD with the HP TrueVision HD Webcam in my second post. Now let me tell you a little more before we get to the giveaway! As a music lover, one thing I love to do when I’m online is to either listen to streaming music or watch music videos. The HP Pavilion dv6, thanks to its speed and clarity, delivers clean images and video, but the most awesome thing about it, is the “Beats Audio” speakers. “Beats Audio” was developed in collaboration with Iovine and none other than rapper/record producer Dr. Dre. By working with Dr. Dre, they ensured that the “Beats Audio” quad speakers deliver crisp, full sound – music the way the artist intended it to be heard. On the HP Pavilion dv6 you can definitely turn up the volume on your favorite salsa, merengue, bachata or whatever música gets you and the niños moving! This giveaway is now closed. Congratulations to the winner: Ely! To enter we ask you to check out the previous two posts about the HP Pavilion dv6 here and here and come back to leave a comment telling us which of the specific HP and/or Intel features we mentioned the Pavilion dv6 comes equipped with you are the most excited to try out. 2. Follow us on Twitter and tweet about this giveaway including a link to the post and mention @Intel @HP and @SpanglishBaby, plus the #AClaseConHPyIntel hashtag. Copy the link to the tweet in an additional comment on the giveaway’s post. Only one additional entry for this method allowed. This giveaway ends Monday, September 12 at midnight EST and is open only to residents of the 50 United States & Washington D.C. who are over 18 years of age. Check out the Giveaway Rules. 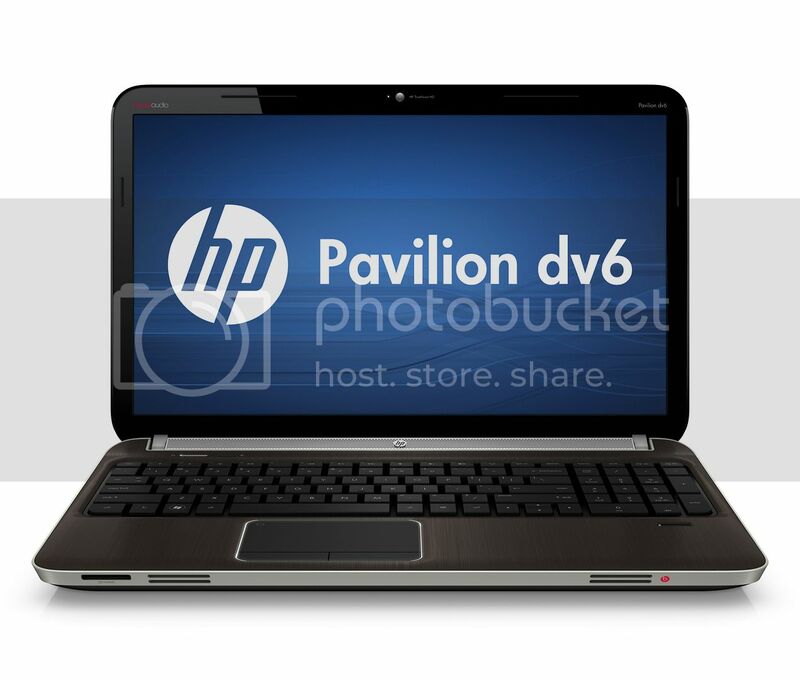 For yet another chance to win the HP Pavilion dv6, head out to Mama Latina Tips and enter her giveaway. Yay! Disclosure: SpanglishBaby received an HP Pavilion dv6 for review to facilitate this post. Prizes and promotional support provided by HP and Intel. As always, all opinions are our own. I am most excited about the Simple Pass feature. I have a notebook with all my username/password combinations written down, but it would be aMAZing not to have to look them up every time. I am a new subscriber to the email updates. I’ve been a blog reader for over a year, though! I follow SB on twitter, and tweeted about this giveaway! I am a SB fan on FB. I really enjoyed the latest article on early bilingualism. Good stuff! Simple pass seems really cool!!!! I’m a fan on FB, too! The keyboard! I’m excited that you say it’s comfortable, I’m very picky about keyboards! It looks so pretty! I like Spanglish Baby on Facebook! I definitely LOVE the HP SimplePass since I always forget passwords, lol! I would be most interested in trying the webcam feature for skype. I’m excited about the speed of the new Core i3 processor I’d love to win!! I would love to try out the HP TrueVision HD Webcam, I have family all over the U.S. and it would be great to use this with Skype to chat with them, since we don’t get to see each other as often as I would like. I already Like Spanglishbaby on Facebook as La Vida En Las Vegas. Thank you for the opportunity! I would love to tr out the Simple Pass feature. I love the finger swipe! I am expecting my second child and I definitely have pregnancy brain, so this would be really helpful. I already receive updates via email. I also already “like” you on facebook. My favorite feature has to be the HP CoolSense technology — for someone who prefers to tote the laptop around the house minus a table this is a very important feature! I am already a confirmed subscriber. For some reason my second comment is showing as posted but not the first- here it is again, sorry if it is a dupe. The webcam for Skype here- the chicks are leaving the roost and they tell me I simply must get into Skyping. I like the idea of the Simple Pass. Following on Twitter as freebiecorner1. Simple Pass sounds great, the Audio” quad speakers deliver crisp, full sound is so wonderful. The HP CoolSense is a feature I’d really like to try! It gets uncomfortable to work or study when you have your laptop on your legs and it starts overheating. HP SimplePass is what I am excited about,the fingerprint reader would manage my passwords so much easier. cool sense sounds like a great idea to keep from overheating and the speakers sound like they would be awesome. I love to listen to music on the internet. 2) La colocación de acentos me parece fabuloso sobre todo porque blogueo en Español y siento la responsabilidad de divulgar y escribir bien nuetro idioma. 3) El sistema de alta tecnología del web-Cam para poder ver y escuchar a mi papá que lo tengo en Venezuela…! That Simple Pass is amazing!!! My concern is the same as yours, I could easily come dependent on it, but heck, I’m ok if I’m using this little beauty. HP CoolSense technology is the most exciting feature to me. The HP SimplePass fingerprint scanner to fill in account usernames and passwords would be an amazing feature to have, no more forgotten passwords!! I would LOVE to have a laptop with this feature. I’m most excited about the HP CoolSense technology because right now we have to use an ice pack to cool our computer down! Vanessa´s last post ..Teething? Nursing strike? Weaning? I’m already a subscriber via email! Seriously can’t remember all the passwords and get so tired of resetting it. Love this feature! The keyboard and the webcam are the two features I am most excited to try! Simple Pass is my pick. I like the digital password so i can just put my finger there and unlock my pc excellent for HP. I also like the CoolSense is not comfortable when the laptop get hot. I am currently dealing with a very slow laptop and am excited to read about the speed of the new Core i3 processor. That would make me a lot less frustrated. My ancient laptop has horrible sound so I would love to listen to music with the Beats Audio feature. And the speed – I would love a faster processor. I love the HP SimplePass technology. I always forget passwords. I love the Chat in HD with the HP TrueVision HD Webcam!! Would be great for chatting with Grandparents & other relatives that are scattered across the world with no huge phone bills!!! I would love to try out the comfortable keyboard. I only have a desktop and hate the keyboard on it. I really like the HP Simplepass feature you talked about in your second post. I didn’t realize that type of technology was on an HP laptop! I would love that! I subscribed to your updates via email. I love the idea of SimplePass. How cool to be able to quickly and easily log into your sites with the pass of a finger. Fantastic! I like the HP CoolSense feature, I definitely don’t want to lose everything to an overheated laptop. Glad to hear the keyboard is comfy too… that’s usually one of my big problems with laptops. I´m excited about the speed and the memory amount. I LOVE the HP SimplePass. How cool is that? I have way too many things to keep up with to remember all of my passwords. This feature would really help out. Thank you! The Core i3 processor is the biggest plus for me, since I do a lot of graphic design work and photo editing! Love the keyboard, the fact that it has spanish accents!! My daughter is taking Spanish , would be very helpful!! Simple pass would be great to saving password to many sites. I would like to try this product. The speed/processor, ease of design & HP TrueVision HD Webcam! The Simple Pass feature is my pick because these days every site requires a password and I often have to reset my password because I dont always remember what word I originally used! The Beats Audio speaker system sounds incredible…a must have for music lovers like myself. I like the SimplePass feature the best. The HP TrueVision HD Webcam would be amazing. My parents live out of state so they miss my son (their grandson) growing up! I thought the feature that provides the ability to type accented characters via a few codes was super cool! I’m always having to figure that out on whichever computer I’m using! I like the second generation Intel Core i3 processor. I’ve had budget laptops in the past with underwhelming processors. I like the Simple Pass feature … how awesome! I hate having to remember each different log-in and password, and this would save so much aggravation! This is an awesome prize. Thanks for the opportunity to this. I am most excited about the SimplePass I have so many passwords and I do forget them sometimes. If I won this, it would save me having to press then “Forgot password” link. I really like the webcam feature. I would like to try the HP SimplePass, because sometimes I forget my account usernames, and passwords, so it would be a breeze to access my accounts, and also, no one else can hack into your computer, and still your information. HP Simple Pass…I am soooo forgetful! I really like the CoolSense Technology since overheating has always been a problem in the past. i like the simple pass and also the skype webcam. The keyboard sounds fantastic. I too have had problems with laptop keyboards being way too sensitive. I think I’m most excited about the CoolSense technology. My old laptop got so hot I couldn’t even use it on my lap. i read both posts and I like the computer stays at a reasonable temperature.. my laptop right now always overheats and gets really hot at the bottom, so that would be my favorite part of this one! I am excited about the HP SimplePass feature. That is so convenient. Also, the speed of the processor is also a good bonus! I like you page on FB! HP CoolSense technology sounds great and definitely a feature to be excited about! I’m most excited about the HP CoolSense technology. I can only use my laptop for about an hour to 90 minutes before I have to let it sleep and cool down. Plus my niece just got an HP laptop for school and she loves it! me suscribi a tus e-mails. le di Like a SpanglishBaby on Facebook. lo que mas me gusto es lo ligera que es, ademas que es muy rapida. I am interested in trying out the Simple Pass feature. the built-in webcam is a definite plus! I am extremely excited about the “Beats Audio” speakers. The fact that Dre worked on them is great. My daughter would love to take a laptop like this to college. The Core i3 processor will give her the edge she needs when multitasking for school or schooling her friends in some online gaming. the SimplePass technology will be great because she is so forgetful. It will also add some security for her personal information. I like that the HP CoolSense technology equals a laptop that stays cool! I love the idea of HP CoolSense technology. She always sits with her old busted VAIO on her lap and it makes her legs red from the heat. Hopefully this means no more buying burn ointments. the HP TrueVision HD Webcam will help us to talk with our daughter while she is away at college. Maybe seeing us on the webcam will make her less homesick and she won’t come eat all our food so often. I am most excited to use the HP Simplepass feature. I love that it has a fingerprint scanner! I like the CoolSense technology. It will keep the thing from over heating and also being too hot. I subscribe to Spanglish Baby via email. I am a facebook fan of Spanglish Baby. The Coolsense technology you mentioned in the 2nd post would be so nice. My work laptop could be used to cook meals. I like the cooling feature as I like to curl up with the laptop on my lap and it often gets HOT!! I am really excited to try the simplepass. I am a student and my computer i currently have is old in computer years, also the keyboard randomly stops working! i would love the simplepass because (even though i remember my passwords) i could use a finger print to get into my pages! Although if i won a computer..i obviously wouldnt need to rely on it to get into my pages because my keyboard would work! bahha. I also love the multitasking, as a student i am always going between websites, music, and of course, the facebook which helps me procrastinate. Also, if i got a new computer i could give mine to my dad, and he could finish going back to school. at 57! of all the best uses of the pavillion dv6 i would have to say its ability to stream music! At work I am streaming tunes all day and miss the luxury when i am at the casa! I gope i win! I love how you described how the touchpad is not too sensitive. It might seem like a small thing but it makes a big difference! I like the quicker processing translates to seamless multi-tasking, faster loading, and clear videos and graphics. amy pugmire´s last post ..Ava Turns 4! I hear that the i3 Processor is really fast. I love that. I am also excited bout the Simplepass, as I am always forgetting my passwords. Passwords are hard to keep track of because every site has different requirements. Thanks! I would love to earn additional entries, but I don’t tweet and I had to cancel my Facebook page because it kept getting hacked. Gracias mi amiga! Me…I don’t have a laptop and would love to own one, especially for all my pictures. This one…would love the webcam so I can video chat with my sis out in California! I like the finger swipe. My favorite feature is the processor.Right now I am playing poker, have facebook open, listening to music and entering this giveaway. My little laptop can barely handle it. A bigger processor would be so helpful! I’m most excited to try the coolsense feature and the hd webcam. that would be so great for making videos. I’m most excited about the HP CoolSense technology. I like to check my email and such while I’m nursing the baby on the couch. My laptop has been getting quite warm and I’m worried I will cause it to crash. My favorite feature is the ability to chat in HD with the HP TrueVision HD Webcam. My son lives with his wife and son on a USAF base in Europe, so we need to be able to video chat online, especially so my grandson doesn’t forget us between visits. i followed u on twitter (le_monet) and tweeted about the giveaway. I follow you and shared on Twitter: http://twitter.com/#!/AsTheNight/status/111253690437992448. Of course the 2nd generation Intel Core i3 Processor for nice sound and screen quality. And I also fancy the HP Cool Sense Technology. I am an original subscriber! I would love to try the simple pass feature. I am interested in the webcam feature. I like the Simple Pass feature!!! When my husband or I are out of town, we visit via web cam–it is wonderful that this comes with that feature. I am most excited about the Cool Sense feature. My laptop gets really hot on the bottom, and I worry about setting it on the bed or couch. HP CoolSense technology sounds great, i have had many a computer heat up on my lap and shut down. I’m excited about the HP TrueVision HD Webcam. I also like Spanglishbaby on Facebook. I’m most excited about the simple password feature because it will eliminate the hassle of memorizing different passwords for different sites! And it sounds like this one is really secure, so I’d trust it to store all of my info. I can’t wait to try out that 2nd generation Intel Core i3 Processor! the speed of the processor is what got to me.. i need me a faster computer..I also love the fact that it works by finger print for a password wow !!! I love the HD webcam because I love to skype with family across the country! Like the HP cool technology, nothing like working a few hours and getting the hot lap, it’s about time! I am interested in the webcam. It is far more advanced than what I have and with family all over the country we could use it with Skype. I’m most excited about the Simple Pass feature!! Deb K´s last post ..A Cinderella Story: Once Upon a Song DVD Released Today! There are many things to love about this laptop… The simple pass feature would be great and I like the idea of how fast it is. I like Spanglish Baby on FB. I really like the feature of being able to change the keyboard to Spanish. The SimplePass feature would be great to have and very convenient. i really like the cooling features of this laptop. thanks for the giveaway! The simple pass feature sounds awesome! the Simple Pass feature sounds wonderful!.. I would not need to keep track of every single password..
Maybelline @ Naturalmente Mamá´s last post ..Miércoles Mudo – ¡A comer Arepa! I like the HP SimplePass as I have a ton of passwords and this sounds like a great solution. I like the “HP Cool Sense” technology. simple pass technology for me, that sounds lovely. My computer, read laptop, has always had problems with the overheating so I really like this cooling techinology that this laptop has…hopefully it works better than the others ive had in the past. I really like the smartpass thing. I always have a tough time remembering my passwords. I really like the truevision HD camera. That would be great for video calls. I really like this computer, looks real good. I like the icore processor which lets me do lots of things at once. I love the HP Coolsense Automatic detection system which uses the motion sensor in your notebook PC to sense where your PC is being used and automatically adjust the cooling. I am most excited about the upgraded speakers. There is nothing worse than the normal “laptop” speakers, so I am looking forward to being able to enjoy the new technology that HP has created! I’m most excited to try Simple Pass. I would love the Simple Pass feature. I too have a notebook with all my usernames and passwords written in it and this way I could get rid of it and have it all on my computer! The Simple Pass feature sounds cool to keep track of all my passwords. i like the password system it has. that is helpful. I really like the beats audio system this laptop has. Ive heard from people that beats audio is great but ive never tried or heard a system that had it. This would be great to try as a first! im an email subscriber now, thanks again! i like having lots and lots of windows open at the same time and it look like this computer has the hardware to handle this. Looks great ! how about that fingerprint reader. that to me is like something out of a james bond film. I think the HD chat sounds cool. I love the HP SimplePass! Simple pass seems like a great feature. thanks a bunch for this awesome giveaway! I hope i win!!! that smartpass tech is really cool. would help me out lots with my terrible memory. I think me favorite thing about this laptop is the processor. That is a great processor to have in such a small package. I love me some power! cool prize u have there! i like that HD webcam. My netbook that I use now has a terrible webcam and this one looks wayyyyyy better. That SimplePass thing sounds neat. I like that the touchpad isn’t too touchy! i’d love to try out the “Beats Audio” speakers! I like their Simple Password feature. Simple pass seems to be a great tool! Simple mind …simple Pass. I have so many passwords logons to remember, I need help. I like the HD video webcam. Thank you! I really like the smartpass password techinolgy. helps me remember my password to so many things! i like the smartpass tech which is great for not having keep sending password reminder emails to myself. I really like the camera since i use the webcam feature alot and this one seems to be a nice HD one. thanks again for this super duper awesome giveaway!!!! I like the idea of the coolsense cooler system. I hate hot laptops on my legs! A laptop with speech recognition?!?! added a tweet of the statement indicated above on my twitter account, nice and fresh! added my email to subscription list, THANKS AGAIN!!! I am excited about the Simple Pass feature and the speed. My laptop is getting old and slow so would love to win this. I .”Like” SpanglishBaby on Facebook. I’m excited for the HP CoolSense technology; after long hours of studying or writing papers, my laptop get extremely hot and it makes it difficult to continue. I WOULD LOVE TO HAVE A COMPUTER WITH SIMPLE PASS….TRYING TO REMEMBER USERNAMES AND LOGGINS IS INSANE!!! I’d enjoy trying the HP simple pass feature. I change passwords ofter for security reasons. This makes that process easier. The high quality built in speakers would be amazing. What I like the most was the HP SimplePass, it is awesome feature, cuz I’m not very good remembering passwords. Mandatory entry: I’m most interested in the HD webcam. I subscribe and confirm using this ^ email address. I like Spanglish baby on FB (Michelle S.). The HP SimplePass is a great idea! Thanks! I want to try the HP SimplePass. I like the smartpass feature, its great for not having to remember so many passes. cooling system for me is the winner! the fingerprint reader is really cool!! i like SpanglishBaby on facebook as Sasha L.
It comes with a 2nd generation Intel Core i3 Processor. I think the Beats Audio feature sounds like so much fun! I also have the fast Intel processor, our current laptop is very slow and we would definitely love to update. Thanks so much! My favorite feature is definitely the Simple Pass feature. I would love to not have to keep a list of my passwords to websites written down. The Chat in HD with the HP TrueVision HD Webcam sounds absolutely awesome and I would love to win it so I could try it out! I have two daughters away at college so if I had this feature then I could Skype with them. That would be so exciting! I would love the Simple Pass. Just today I had to reset a forgotten password and it took forever…. The HP SimplePass feature. That is so cool! I can barely remember any of the passwords for my numerous school/work/other logins. It gets frustrating having to reset my passwords all the time because I forgot them. This feature will be a timesaver. I love the Chat in HD with the HP TrueVision HD Webcam, now I can talk to the grandkids and see them too. I love that you were able to have so many tabs open at the same time. I have a lots and lots of windows open at all times. Looks like this laptop’s processor can handle having many windows open at once. I like how u can have so many tabs open at one time. The Beats Audio sounds awesome!!! definitely be my favorite feature. I really like the keyboard that can be switched from Spanish to English! Simple Pass would be a great feature and a vast improvement over anything I do right now to remember all my passwords. I am most excited to try the CoolSense technology. I am always working on my computer on the couch and it gets really hot on my legs withing an hour of working. It would be nice to try this CoolSense feature to see if it would help eliminate the heat. I want the i3 processor to speed up my photo touch ups. I love the power…I am need more power with my laptops! I like the fingerprint reader and the CoolSense technology. added my email to subscribers list. I like the HP SimplePass since I can never remember all of my passwords and this is a great idea! The CoolSense feature is great. I love that it can detect when your computer is being used and automatically adjust the system it has for cooling. really like the smartpass system. thanks! I have added my email to the subcription list ( option up top there) with same email i used to post this….Thanks again! Ive had lots of issues with overheating computers in the past. i like the the hp simplepass. I really like the feature because cant remember passes and I hate writing them down. I like the smartpass system. I also really like the smartpass password technology feature so it can help me remember my password. I love the 2nd Generation Core i7 Processor!! I like HP CoolSense technology!!! I like the feature of being able to add Spanish to the keyboard. I like the Simplepass system, I think its really cool it reads your fingerprint. the icore processor seems like a really powerful one to me and i would love to have the chance to try it out!!! I love the Simple pass idea! I love how you can have many windows open at once. I usually have lots of windows open at one time. Im not an email subscriber, thank you!!!!! The simple pass feature seems really cool. coolsense tech is a great idea. That simplepass feature is great. I always have a hard time remembering my passwords and getting older doesnt help. that keyboard idea, switching between spanish and english with just one click is fantastic. There are so many great features about this notebook but I have to say my favorite is how fast it is. Looks like this laptop’s icore processor can handle having many windows open at once which is totally necessary for me. im an email subscriber of this blog now. Love the speed of the processor, this will cook when doing multimedia. The Beats Audio sounds awesome for listening to music. That would definitely be my favorite feature. I loooooooooooooove the keyboard easy switch feature between english and spanish. That would be a great feature to have. i love the fingerprint reader. Ive never seen that feature in a laptop. Is this new or am i just way behind the ball on this? thanks though! hope i win! id love to try the HP simple pass feature. I change passwords often for security reasons. This makes that process easier. That coolsense tech and the beats audio are winners in my book. thanks for the chance to win a really cool prize. i added my email using that link up there to your subscribers list. thanks again, this blog is really cool by the way. The coolsense sounds neat, but I am sure I could use the simplepass for my passwords too. oh- and I like spanglish baby on facebook #@ A marie hj saver. I use the webcam feature of my netbook all the time and I cant stand how crappy the video quality is. I dont own a laptop and have to settle for the netbook but ive always wanted something better. The HD webcam on this thing has me drooling. It would be amazing for my family to finally be able to see my face clearly and not pixeled. Thanks so much for this AWESOME giveaway. I always care about processor speed above all other “fancy” things like readers and webcams. The processor and speed on this computer look fantastic so thats ym favorite feature. The Beats Audio system is really good. Ive heard a friend’s HP that also has it and its really revolutionary for laptops since laptop speaker sound has always been mediocre. Don’t expect huge subwoofer sound but its definitely really really good audio quality. Oops, I didnt realize I needed a separate comment for each entry, so this one is for my email subscription to this blog. Thanks again so much. I love the CoolSense technology – I know the horror of which you speak! im now an email subscriber to this blog. I am really excited about the simple pass feature. It looks like it will make life easier. I’m most excited about the hp coolsense technology, thanks for the chance! I really like the simplepass feature. Coolsense feature seems to be my favorite feature. I always find that heat is a problem and HP came up with a great idea on this aspect of it. I like the 2nd gen iCore i7 processor because I always run so many programs that my computer slowwwwwss down way too much. that HD webcam looks great, thanks! i think the feature I liked was the simple pass. keeping up with passwords is hard. But I also love that coolsense too. I LOVE how you can easily access the spanish accented letter using the ALT key- SO convenient- especially for somebody like me who frequently uses the accented letters Awesome! I follow you on twitter as @KristaK2 and I tweeted! i really like the HD webcam ! the fingerprint reader seems like a great security feature to me. Since im always worried about who can be using my laptop I think that would be my favorite feature. coolsense is a great idea and ive never heard of it before. would be nice to try it out. I love theHD web cam feature. When someone is out of town, we communicate with web cams. The HP pavillion has gotten great reviews for the features youve mentioned and for others as well, like speed and monitor clarity. Thanks so much for this great chance. I like the coolsense technology and the keyboard that can be switched between different languages. Most excited about Chat in HD. How cool would that be. And could keep up with the in-laws in Ecuador in shockingly good pic quality. I like the simple pass feature because I would love to have my passwords all stored for me and ready to retrieve at a moments notice. i really like that HD webcam! im an email subscriber too! that built in HD webcam is awesome. Im used to to using my old usb webcam which is like 5 years old and terrible quality. email subscriber now! THANKS !!! The CoolSense feature is awesome. I love that it can detect where your computer is being used and automatically adjust the cooling. any computer with an audio system was was partially designed with the help of Dr. Dre is something I definitely want to try out. Im a HUGE fan of his. ps: i love your blog !!! subscribed via email to your blog, thanks again for this awesome giveaway. I LOVE that HD webcam and the smartpass feature. the webcam is really nice if its HD. Skype is used alot in my household. My favorite feature, aside from the less sensitive touchpad (I must accidentally swipe mine at least a dozen times a day! ), would have to be the HP TrueVision HD Webcam, which would come in extremely handy now that I’m traveling a lot for work and don’t get to see my family and friends as nearly as much as I’d like. Thanks for the chance to enter! I’m excited about the SimplePass. It seems like a really cool feature. Simple Pass seems really cool. I WOULD LOVE TO WIN THE LAP TOP AS I DID BUY A COMPUTER AND I WAS GOING TO BUY A LAPTOP AND WISH I DID. ITS EASY TO TAKE EVERY WHERE. I love the coolsense technology. The CoolSense Feature is a great idea. Laptops have a bad tendency of overheating since the fans are always so small and useless. The simplepass has got to be my favorite feature. I have always wondered why something like this didn’t exist in today’s world where we all have so many different websites we need to log into and stuff. That would make my life a heck of a lot easier. I really like the smartpass password technology. I am an avid music listener so the beats audio system would have to be what interests me the most. Ive never liked the sound quality coming from laptops so I hope this is much better. I love the 2nd Generation Core i7 Processor. That would come in handy for me since I like doing lots of things at the same time. email subscribed to mailing list. The Intel 2nd Generation Core Processor sounds fast and great, especially since our computer is very slow, it would be great to upgrade. I love the smartpass/simple pass feature on this laptop, what a great idea, I am so bad at passwords. Thanks for the chance to win a cool comptuer. I like HP CoolSense technology since it detects where the computer is being used and automatically adjusts the cooling. What a novel idea that is! thanks a bunch for the giveaway. I love that the screen is really high def. To me thats the most important part of a computer. If my eyes hurt from being strained after a while then its no good to me. subscribed to email list up there. Thank you!! The Coolsense technology is great because I have had a lot of issues with overheating before with those tiny laptop fans. I love the Simple pass to help me not have to remember my passwords. Great idea. I like that it has alot of memory space for me to store all of my pictures. I love how it has enough power so that I can have a lot of windows open at once. I usually have many open at same time. im an email subscriber to your blog! I really like that cooling technology. Live the coolsense. Old laptop gets so hot. I meant that i loved the coolsense, not “live” the coolsense, haha. hmmmm, maybe i need a new laptop with a better keyboard…..
but this post is my entry for the blog subscription. Thank you! The simple pass feature seems really useful. the truevision webcam would be great to use to keep in touch with everyone I know and so they won’t forget my pretty face! thank you so much, this is a really cool giveaway you are doing. That simplepass feature is great. I always have a hard time remembering my passwords. that keyboard idea, switching between spanish and english is my favorite feature. Im also subscribed to this blog via email. my webcam now has stopped working on my computer so I need a new one and I wouldnt mind the new being HD like on this laptop. Thanks so much! the feature i really like is the password thing. That would really help me since i have so many problems with silly passwords all the time. The simple pass feature would be so useful for my absentmindedness! I’m a very long time HP fan/user and I’m dying to try out the 2nd generation Intel Core i3 Processor!!! I like the CoolSense technology because my son stays on his laptop and it gets really hot. The simple pass seems really great! Really excited! I am excited about the CoolSense Technology. I am always working on my sofa and after an hour, my legs get really hot. I love the” hp SimplePass “. great idea! I really like the SimplePass system! I think the HD chat sounds great! My favorite feature is the hp simplepass. I really like the feature because I always forget my passwords. I really like the smartpass password technology feature so it can help me remember my password. I love the 2nd Generation Core i7 Processor and I would love to try it out. i like the cooling system it has that is smart. great idea from HP. HP SimplePass is Awesome!! It would save me a lot of time. I like this lap top because is modern and the design is good, the USB and the image is perfect for my needs! Thank you so much for this Giveaway! S. Yissele – Mami Holística y Genial´s last post ..Intenciones / Intentions ~ Miércoles Mudo / WordLess Wednesday. The CoolSense technology! I tend to do my best work on the sofa and dislike how my current laptop gets so hot, even with a lapdesk. I’m most excited about the keyboard as mentioned in the first post. I’m all thumbs and I find laptop keyboards to be way too dainty for my fingers. I really like the coolsense technology system and the full size keyboard with number pad. I really use that alot on my laptop. Thanks! I like that the laptop has a comfy keyboard. If I win it my kids will likely use it. My older son complains about the keys on the desktop all the time so this will be a big improvement. I also like the speaker quality. We are all music lovers so the entire family will enjoy this feature. i love the fingerprint scanner. its a great security feature. HP SimplePass is GREAT!! It would save me a lot of time. my favorite feature is the beats audio system. I love that it can detect where your computer is being used and automatically adjust the cooling. Simple pass seems really handy. The HD webcam would be so useful for my daughter to see her tías and abuelos! The feature I like the best is chatting in HD with the HP TrueVision HD Webcam – very cool! I love the smartpass/simple pass feature on this laptop, what a great idea, I am so bad at passwords. I like HP CoolSense technology !!! I love that the screen is high def. I like watching movies on my laptop so this is important to me. im an email subscriber ! I really like the fingerprint reader that it has. I love the Simple pass to help me not have to remember my passwords. I’m now subscribed to the email list. fingers crossed! I love that new iCore processor. I like multitasking with programs so I need to be able to open more than one at the same time. the smart cooling technology is really innovative. That coolsense technology is great. My laptop now overheats all the time. im an email subscriber now too! Second entry! The audio/speakers– it’s important to me to be able to play music that sounds nice and clear. Would be amazing if I were to win! The HP CoolSense technology is a feature I would love. I have a weird fear of my laptop getting overheated and use an auxiliary fan for it. It may seem corney but I look forward to the webcam. I think it would be fun. I really like this laptop. That video made it look even better. I like the huge monitor and the fact that it is high def. I dont really care for the little technologies as long as it has enough ram and hard disk space to get stuff done. Thanks so much for the chance to win this really cool computer. I’m also an email subscriber now ! I am excited about the CoolSense Technology! The Intel Turbo Boost Technology feature is my favorite. im now a subscriber by email! thanks! I really like the HD webcam that this comp has. I like the sound system and I am also one who has 5 windows open at once so the processor it has will be great. second entry for email subscription! What I like the most was that I’ll be able to write in Spanish with the guide that you gave us for the accents. This would be great to have for my new small business that I just started. the HP Simplepass system is awesome in my opinion. what a great feature. I really like the cool sense technology because I had a laptop overheat and die once. annnd I added email subscription. Thanks! I think the HD chat sounds cool! I just subscribed with my email address, gracias! Can’t believe I didn’t see this sooner. What a great laptop that looks to be. I really think the password technology it has is very innovative and useful. I’m a bit skeptical about the “beats audio” because I work in sound systems and its HARD to get great sound out of tiny speakers but id like to try it out at least. Thanks so much. My favorite feature is the simplepass. I really like the feature because I have forgotten passwords before and I hate writing them in a notebook. i like the fingerprint reader. My favorite features are the Chat in HD as all of our family lives in different states. So this is perfect for us. And the keyboard not being touchy as that is my biggest complint with most laptops that I have used in the past. really nice of you to do this!!! thank youuu!! I really like that fingerprint reader. All my friends would be totally jealous of it. I’m now an email subscriber too! id love to try out that smart cooling technology it has. That spanish/english keyboard switching is great. I would use that alot when writing in both languages. I love the Simplepass to help me not have to remember my passwords. Fantastic idea. I like the iCore processor so you can have lots of windows ( like your blog, haha) open at the same time. simplepass is pretty cool, sure will make things easier! I’m a subscriber now, thank you! I am with you I love music! I have to listen to my husband play his drums and guitar all the time I better like music hehe. Speakers make a huge impact on the sound I like the fact this has the Beats Audio speakers!!! That is cool! Thanks for the chance! that keyboard idea, switching between spanish and english with just one click is great. the feature i really like is the password thtechnology for remembering my password. If its as fast as they say it is then that is by far my favorite feature. iCore processors are really good I’ve heard. I love that it has a wireless card built in that is fast and efficient at finding networks. I like that it automatically adjusts the cooling. Very impressive. I’m really impressed by the HP CoolSense. The HD webcam would be great for keeping in touch with fam. Thanks a bunch, much appreciated. I like the HP SimplePass feature because I have trouble remembering all my passwords. La tecnologia de HP Pavilion dv6 es impresionante y realmente me encantaria tenerla. HP TrueVision HD Webcam para poder comunicarme con mi familia que esta en otro pais con una imagen nitida. Estoy suscrita a los emails de Spanglish Baby. I love the Beats sound system. Four speakers, nice! I like being able to use my finger as a password, how cool is that?!?! I think the HP SimplePass is a fantastic and very useful feature. I really like the Cool Sense feature. My old laptop gets so hot on the bottom, and I’m afraid to set on the couch or the bed. My favorite feature is the cool sense technology. How great to have a laptop that doesn’t get too hot! Wow!!! Great sound, fast, can watch movies.. Simple pass… Gotta love it!!!!! Thanks for the chance to win!!! I subscribed to your posts by email! I love the cool sense feature the best because I just can’t stand to have my lap get hot from the laptop. subscriber to this blog now. Simple Pass is amazing. What a cool idea and very practical to boot. My favorite feature is the smart cooling technology. I am now a subscriber to Spanglishbaby. The Audio system that is supposedly so good is really exciting. I love listening to music. Love the speed of the processor, this will rock when doing lots of things at the same time. I used that form on webpage to add my email to subscribers list. The fingerprint reader is my favorite feature on this laptop. I’m most excited to try out the fingerprint system that it uses for password and security. Ive never seen that before in a computer and its sounds like a great idea. My favorite feature is the 4 speakers. I love the idea of switching between english to spanish on the keyboard, me encanta esa idea! Wait whaaaa? It reads your fingerprint and lets you log in automatically to email and other things? How futuristic is that!! That is awesome. I want, I want, I want. Haha, thanks so much for this awesome giveaway. I’m now subscribed to this blog, thank you! im amazed by the fingerprint reader. That is really cool. Thank you! I love the Audio Beats system. I gotta have my high quality music to listen to. I give two thumbs up to HP’s CoolSense technology. Id love to have the chance to try out the beats audio that Dr. Dre helped develop. That is cool! I think the Coolsense cooling system is really “cool”, ha ha ha…..
my favorite feature would also have to be the fingerprint reader. How can it not be. That makes my life way easier and its very secure too. i always forget my passwords so the fingerprint feature is awesome to have. My favorite feature is that it can stand up to my multi tasking because of its iCore processor. subscribed to email list, thanks! great prize by the way. really like the smartpass system. thank you! I really like the cool sense technology!!!!! My favorite feature is the hp simplepass. The Simple Pass feature looks great. Too many websites with passwords to remember. I like HP CoolSense technology and think its really innovative. hope i get the chance to try it out! subscribed to email , thank you! I like that it has alot of memory space and a nice HD screen to view movies. I really like that coolsense technology. Thanks a bunch for the giveaway, its sweet! Really like that fingerprint idea for logging in. That simplepass feature is neat. I’m now subscribed to email list. I’m subscribed to email updates. I would really enjoy trying out the Beats Audio system. Its like a mini surround sound system on a laptop, super cool. the feature i really like is the password fingerprint reader. i subscribed , many thanks! The music feature is my favorite part. Music is huge in our home and we either listen on the radio or on the computer. I like both that it has the numbers keypad and the HP CoolSense technology! I’ve been very loyal to HP, every computer I’ve ever owned was an HP. I’ve noticed that they seem to run hot, though. So I do like the idea of the CoolSense technology. At the same time, there is no point to having a computer with no numbers keypad. I’m glad to see both on the HP Pavilion Dv6. I subscribed to your newsletter, thank you. I Liked you on FB, thank you (it’s a different email though). I like the cool technology. I like your description of the keyboard, so many laptop keyboards are so touchy so it’s good to know that this one isn’t like that. I would be excited to use the webcam the most because then I would be able to talk to my brother in the Army through Skype!! He’s a sergeant so I don’t get to see or talk to him as much as I’d love too! This would take away some of the worries I have by being able to see him and I know how much he would absolutely LOVE this!! Just to be able to talk and see his family back home would give him that little piece of comfort when he gets home sick! He’s been in the Army forever and close to retiring but he still gets home sick. i like the chat in HD with hp! I love the SimplePass fingerprint feature! How interesting. I love the Beats sound system for better sound quality. thanks! I like the processing power and coooool looks! I’d love the “Beats Audio” speakers. I like being able to use my finger to login to my password protected pages. I’m really interested in the HP SimplePass. The Simplepass feature sounds awesome! I like the HP SimplePass. So convenient. HP Simple pass. I can never remember my passwords. I would like to have the webcam with skype. The feature I am most excited about would be the CoolSense technology. This would be really cool, especially if you’re sitting with it on your lap! Two things and I can’t decide between the two. I loved your article on the streaming music because I love this as well. I much prefer the tunes to the TV for background noise and the simple pass because it always seems that I’m recoving my password! The HP coolsense technology sounds great, I would love to try it out. I am most interested in trying the simplepass technology and it doesn’t hurt that it appears to be a super fast machine!! Tammy Darling´s last post ..School’s Out!?! Love electronics that got sound… the audio beats quad speakers is probably the greatest feature! I am excited to see the HP TrueVision HD Webcam. Simple Passs ounds great. I’d love it because it would save a lot of time by automatically logging in to sites that require passwords. im now an email subscriber, thank you! I’m excited about the HP CoolSense technology. The feature that would be helpful to me is the CoolSense Technology. I had an older HP laptop a few years ago. I would take it to bed with me to read blogs or play games and after a while my legs would be very warm…not to mention the laptop. I don’t have a laptop anymore and sure would love to win this one. Thanks for the chance! I like the coolsense feature, thanks! The HD webcam… would be great for my kids to speak with their grandparents on! I love the HP SimplePass feature. I am most excited about the Simple Pass feature. The Beats Audio sounds awesome for listening to music. Would love to try out the Simple Pass feature. Would love to try out that keyboard! I am excited about the simply pass. I like that the keyborad is comfortable and that the touchpad in not too sensitive. I think the HD webcam and the coolsense technology are the most interesting features. I like how you can have so many tabs open at one time. The Beats Audio sounds great for listening to music. My favorite feature is the switching from Spanish to English. Very useful. The feature that I am most excited about is the Coolsense technology. I always have trouble with laptops overheating and burning my lap, so I love that it has an automatic detection system and vents that are placed at the right places. And it even has software to specify your cooling preferences — how neat is that? Thank you so much for the chance! I already like you on Facebook (username: Les Cerises). I really like the audio beats feature. thanks! My favorite feature has got to be the CoolSense and the fingerprint reader. i love the fingerprint scanner and since I hate always typing in password that would be great to have. I am most excited about the HP SimplePass, nice! My favorite feature is that it can stand up to my multi tasking with its great processor. subscribed to email list, thank you! I like the HD webcam. It would make Skyping my inlaws alot nicer. Coolsense technology – leaving the laptop on a non hard service drives me crazy. The Simple Pass seems pretty neat. It’s definitely something different. I’m a big fan of HP and have always used them. I like the HP CoolSense technology that stays cool whether you’re at a desk or on the sofa. Laptops get super hot – I like this CoolSense technology! The HP SimplePass is also a great feature for me- can’t hurt to keep organized! I’m most excited to try the speed of the new 2nd generation Intel Core i3 Processor. For too long I “suffered” from glacial speed. The new technology really is exciting. I love the Simple Pass feature! I have a friend with one of these laptops and it is amazing! Great giveaway! I like SpanglishBaby on FB! Totally love the skype webcam…I have family all over the country i would enjoy speaking with…. I definitely like that the keyboard is comfortable to use. I also like the coolsense feature because sometimes I use one on my lap. I’d like the HP TrueVision HD Webcam. I like to Skype with my son to see my little grandson frequently. Ive been wanting to try it. I ‘like’ SpanglishBaby on Facebook. I really like the fingerprint logging in. Thanks! One is….it does not overheat…. I really like the coolsense idea and the HD webcam. I like the beats audio. I looked at a review video and the difference between standard and beats audio with the subwoofers is AMAZING. It really makes a huge difference. Hola Spanlishbaby! Thanks for giving us this great opportunity! I am really excited about the 2nd generation Intel Core i3 Processor – my current computer can’t keep up with new websites (like Target and Walmart) and since I’m a SHM (raising her daughter bilingually of course! ), I really can’t afford a new computer right now!! ja ja! Gracias! Hola!! I’m already a subscriber and really, really need a new computer!!! Everything about the HPdv6 se ve estupendo! i love the simple pass feature! What a fantastic laptop! I love all the features but the one that I really love is the bests audio. I adore music so this would make my favorite songs sound so superb. I would love the simple pass feature! Not so many passwords to remember anymore! I love the Cool Sense technology, so awesome! The Simple Pass feature sound wonderful!! Im so bad with passwords so the SimplePass feature looks great! the speakers is what I am most interested in. the sound on laptops are always so bad. it would be nice to have good speakers. I am excited about the HP Coolsense technology. S. Yissele – Mami Holística y Genial´s last post ..Cupones Geniales: En Earth Fare! I am probably most excited about the Beats audio, I’ve heard a lot about it and I’m excited to try it out. While the simple pass is cool, I agree with you that I would hate to become dependent upon it. The neatest feature you spoke about was the HP Coolsense technology. My laptop is always overheated. Wow, I definitely love the simplepass feature the most! I use roboform but having an easier way to fill in information is a truly important feature to me. Thanks for the in-depth reviews and giveaway! My favorite feature has to be the HP CoolSense technology so I can use it on other surfaces without worrring about it becoming too hot. I’m excited about Simple Pass. I look forward to the speed and clarity of the HP Pavilion dv6 when I win! Glad it doesn’t overheat like my last hp dv2200! I would love the HP TrueVision HD Webcam. I have family that live all over in the US and would love to use this feature to keep in touch. I also have a 19 year old son who is entering into the Air Force and I want to be able to stay as close as possible. We have been very close always and with myself living in Ohio and him being stationed in Texas I will be at a loss. We have never been away from him for more than a wek and although he is doing something very honorable I will miss him more than words can say. Thank you for considering me in the drawing. I really would like to try the beats audio system it has. I am very excited about the SimplePass feature because my memory is swiss cheese! This laptop would be so helpful for me as I am returning to college! The HP Simple Pass sounds like really cool technology and it something I have never heard of before, it would be great for the computer to remember my passwords since I use various ones for different sites and sometimes forget them. The Coolsense technology also sounds really cool since my computer gets hot sometimes when I am using it on my lap! I’m pretty interested in the Simple Pass. That’s really cool! Kimberley Meier´s last post ..Out of the Mouths of Babes…..
Having a faster speed laptop would save me tons of time and make me more productive. I’m liking SimplePass with the fingerprint technology. That would be so space-age! Plus, since my last HP tower literally burned up (the motherboard fried), due to overheating, the CoolSense is a def plus! The best part for me is definently the CoolSense, because I have heard that most laptops tend to heat up quite a bit on the underside after an extended time of use. Definitely the coolsense technology, I know laptops get HOT! Although the built in webcam is also pretty sweet, especially since I skype so much! I’m excited to try out the HP TrueVision HD Webcam. i love that the hp has beats dr dre tech because music is a big part of my life, and love love love the intel processor that can take on my constant multitasking. The finger swipe feature that fills in your passwords and such is my favorite feature. I like Spanglish Baby on Facebook (Sarah Smile). I could really get a lot of use out of the Simple Pass and start using the webcam too! Thanks for the giveaway…we like the HP SimplePass & HP CoolSense features of the HP Pavilion dv6: easy access to passwords by scanning a finger, and efficient internal cooling of the laptop that is automatically adjusted according to external thermal conditions…pretty cool ! I like the HP CoolSense technology because I hate a hot lap. I love the BeatsAudio because I am a big music fan! I love the staying cool technology and the webcam for talking to all my family and friends who are so very far away!! I like you on FB as Jay Cee. Thank you for the chance to win!